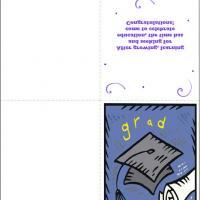 These printable Graduation cards feature a mortarboard and diploma against a blue background. 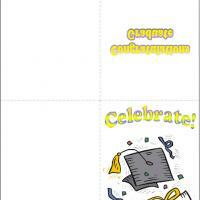 A message of congratulations is written on the inside of these free printable cards. 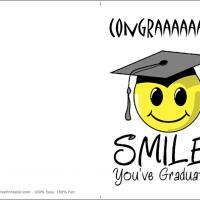 After growing, learning and seeking an education, the time has come to celebrate. 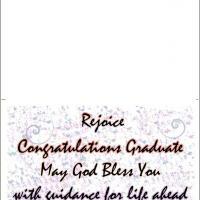 Send some congratulatory message for the new graduate. 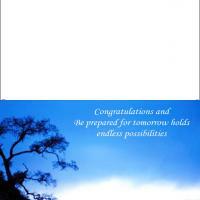 Give the beginning of their new step in life a good start with a positive outlook and nice thoughts with this card.